Eric’s story is part of our efforts to celebrate April as #CommunityCollegeAwarenessMonth. Each week, we’re sharing a fact about NC Community Colleges, and how it’s seen here at FTCC. Fact Two: The NC Community College System is the third largest in the nation, based on number of colleges. (Source: The North Carolina Community Colleges System). Fayetteville Technical Community College has the fourth highest enrollment for community colleges in the state, serving more than 40,000 students annually. One of those students is Eric Bethea. 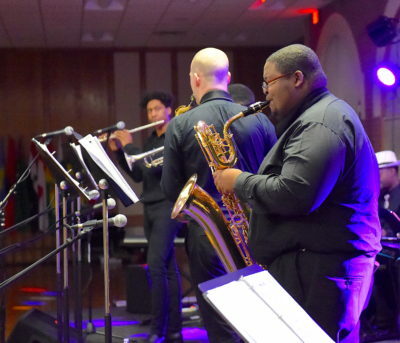 Bethea is a music education major who grew up in Jersey City, New Jersey. One of his favorite things to do as a child was “bang on pots and pans,” a rule he broke often at home. But his love for sounds deepen, a thanks he gives to his mother. She enrolled Bethea and his siblings into New City Kids, an after-school program focused on allowing youth to explore music and academics in a fun environment. He joined The Marching Colts at Cape Fear High School. 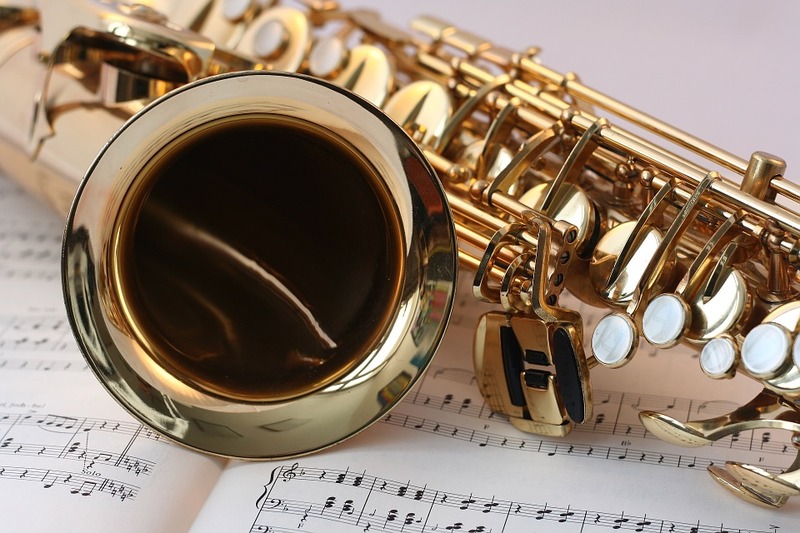 He also became a member of the FTCC Jazz Ensemble last fall and plays saxophone for the group comprised of music students; FTCC instructor Daniel Pappas oversees the ensemble. Bethea plays saxophone for the musical group; he can also play clarinet, drums, tuba, French horn, trumpet and piano. After graduation this year, Bethea plans to attend a four-year university in hopes of pursuing a doctorate in music education. His goal? To be a music professor. He said being put on that path wouldn’t have been possible without FTCC. View our spotlight on alumna Shannon Smith published on April 7.